Teen hiring got off to its strongest start in seven years in 2013, but heavy employment gains in May appear to have caused employers to pull back slightly in June. However, with 994,000 16- to -19-year-olds finding seasonal positions so far this summer, it is still possible that teen hiring could outpace 2012, according to John A. 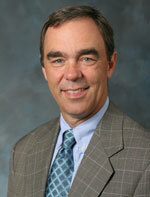 Challenger, chief executive officer of global outplacement consultancy Challenger, Gray & Christmas, Inc.